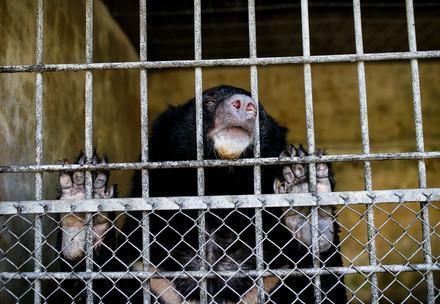 We are still deeply saddened that Sao, a male sun bear, approximately 16 years old, whom our team from FOUR PAWS Viet attempted to rescue in the morning of the 16th of November 2018 from a zoo in Lam Dong province, died on the way to our BEAR SANCTUARY Ninh Binh. 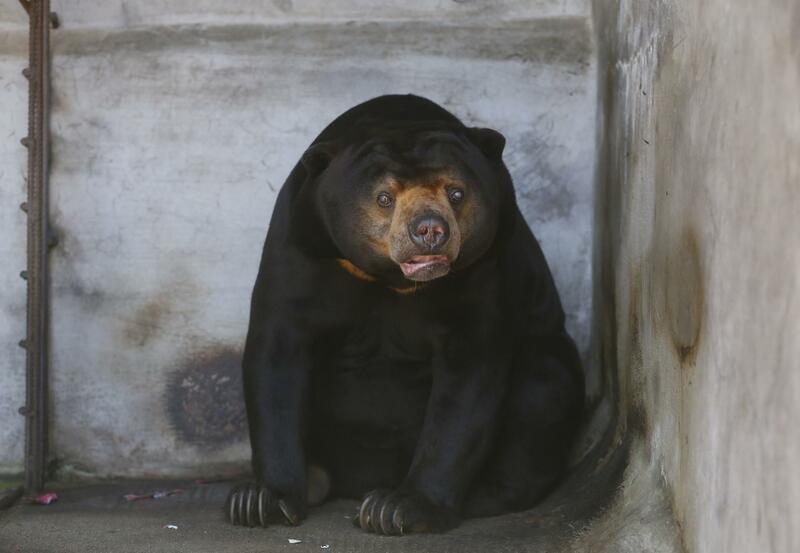 Although Sao had several health problems such as a liver cirrhosis and a gallbladder inflammation which we strongly believe are a consequence of being used as a bile bear in the past. 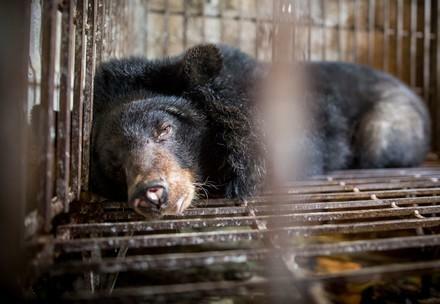 Sao’s condition was stable during and after the vet check performed by our veterinarian and wildlife expert, Dr. Johanna Painer and the Vietnam bear team. Sao woke up from the anesthesia quickly and was doing well. Five hours after the team left the zoo, Sao suddenly started bleeding from his nose and mouth and his breathing became heavy. Our team of wildlife experts was desperately fighting for his life for more than 12 hours and tried everything possible to help him. It was our and our supporter’s heartfelt wish to offer him a new life at our sanctuary without pain and we are heartbroken that Sao who suffered terribly for so many years didn’t get the chance to live a happy life according to his needs. Today we know that Sao died because of internal bleeding and despite of our vet team’s tireless efforts, his condition could not be stabilized or resolved. The examinations that took place after his death showed that there was blood in his chest and abdomen and moderate bleedings on most organs. Furthermore, the initial toxicological examination revealed presence of an anticoagulant rat poison in his blood. These types of rodenticides bind vitamin K, resulting in the inability of the body to produce essential clotting factors which can lead to internal bleeding. Although we are waiting for further analysis results, we can already conclude, that Sao died of internal bleeding, due to poisoning with rat poison. Since Sao lived in a zoo and was accessible to the public we will never know how Sao got into contact with the rat poison but the certainty would not change the fact that any rescue or hope for a new life came too late for him. 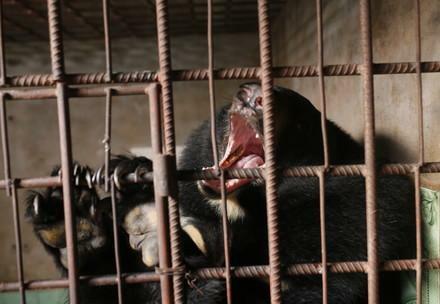 We therefore call for immediate measures to be taken by the government to free the last bile bears in Vietnam from their agony and to relinquish them to animal welfare organizations. Help them before it is too late!